Not only did we enjoy Hollie Chastain‘s collages on Saturday, but right before that we went to the New Museum and saw Llyn Foulke’s collage-like work. 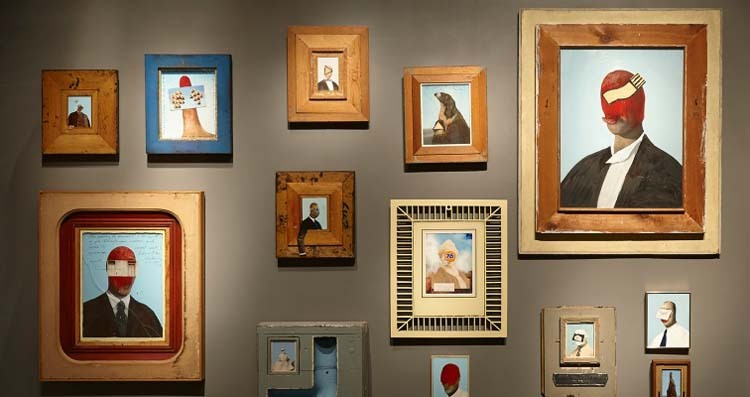 I was not familiar with Foulke’s art and was surprised to find out that the Los Angeles based artist is a contemporary of John Baldessari, Robert Irwin and Ed Ruscha. Though his work is quite varied in style, there’s a consistency in his portraits (our favorites) that makes it hard to differentiate between the ones created in the 1970s and those completed just a couple of years ago. Foulkes’ portraits are fabulous. Some are a little gruesome à la Francis Bacon, but feel more like anti-corporate commentary (it’s funny that Foulkes is LA-based and much of his work gives it to Disney hard) than tortured souls. 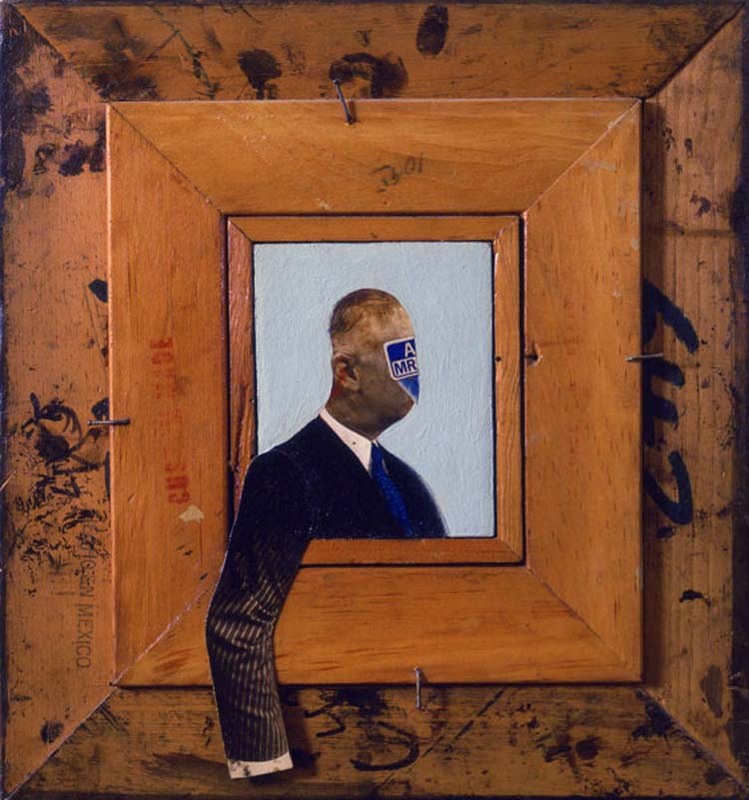 Many of these works have a wonderful 3D quality, with arms or ties protruding from the frames. Foulkes has always been a bit eclectic ranging in style from Pop to Dadaist as well as being a performance artist with his own one-man band playing “The Machine” which he created himself. You can see Llyn Foulkes’ work at the New Museum through September 1, 2013. Photos courtesy of the artist and the New Museum. This entry was posted in Art, Event, NYC, Pop Culture, Stuff We Like. Bookmark the permalink.